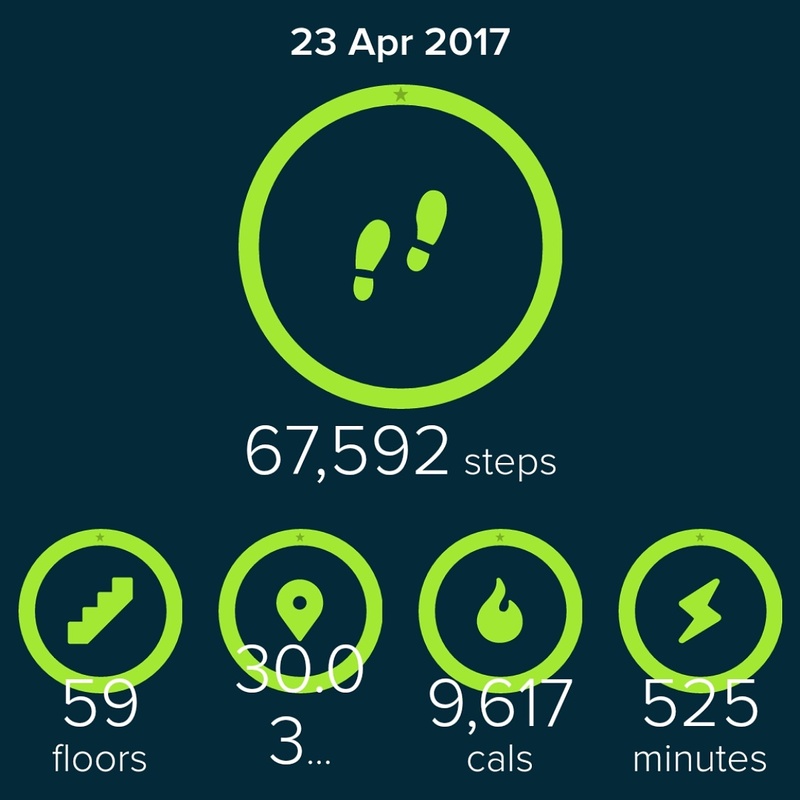 London Marathon – April 2017. I’m sitting here typing this with three semi-detached toe-nails, a hip that feels like I’m on the orthopedic surgeons waiting list, and muscles that feel like I’ve been given a right good kicking but I’m smiling broadly because yesterday I finished the Virgin Money London Marathon in just under 7 hrs and 30 mins knocking off 1 hr and 15 minutes off my first and previous marathon time. I’m really proud of this achievement as a morbidly obese 255 lbs woman who doesn’t fit the stereotype of an “athlete” but I think right now I have every right to call myself that. An athlete is someone who is proficient in a sport or physical activity. As a morbidly obese athlete I am proficient in completing Marathons and you can’t take that away from me! Not today anyway!!! Let me tell you the crowds at the London Marathon make the event. I have NEVER been so moved, had such good fun, given so many high fives to English, Irish, Scottish, Welsh, Christian, Muslim, Jew, Afro-Caribbean, Asian, Indian, Iranian spectators in my life. (sorry I have missed anyone out, am just giving you some visuals on the amazing crowds!). Kids were handing out sweets and along the way I ate bananas, orange slices, chocolate eggs, chews and anything else on offer that would keep me going as I walked and jogged non-stop! (apart from two pees). 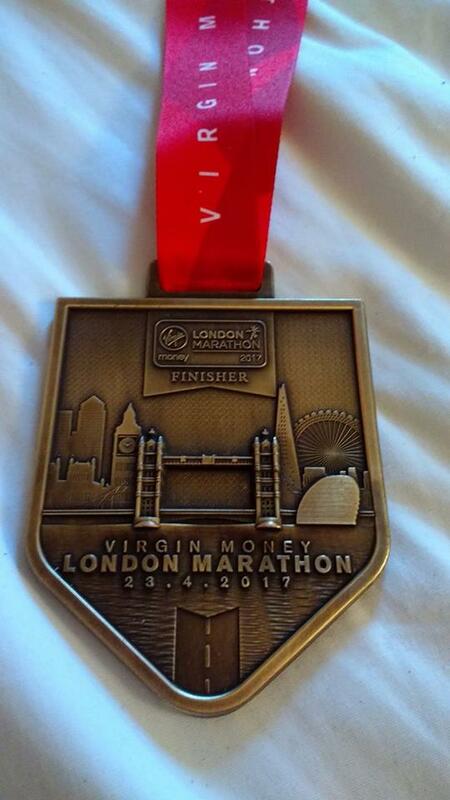 The London Marathon has a cut off point of running it in a maximum of 8 hrs and 15 minutes, come in later than that you don’t get a medal and you don’t get a finishing time or a listing online. 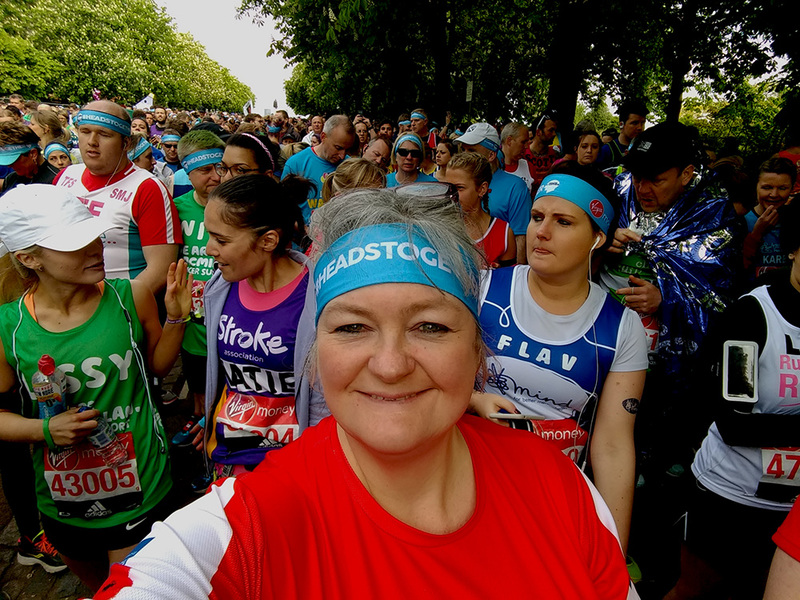 Although your race from the red start area (which includes all the charity runners) starts at 10 am it takes at least 30 minutes to even cross the starting line due to the tens of thousands of starters! The cut off time is 6:15 pm full stop. It was such a relief to cross the line at 5:58 pm!!! Although I am now enjoying some naughty treats (I nearly burned up 10,000 calories yesterday!) my weight loss journey continues with much motivation tomorrow. I may not be doing any more long walks or vigorous exercise for a couple of weeks until everything stops hurting but am really going to concentrate on getting back to my vegetable based 1940s dishes and spend some time on updating the blog with recipes. 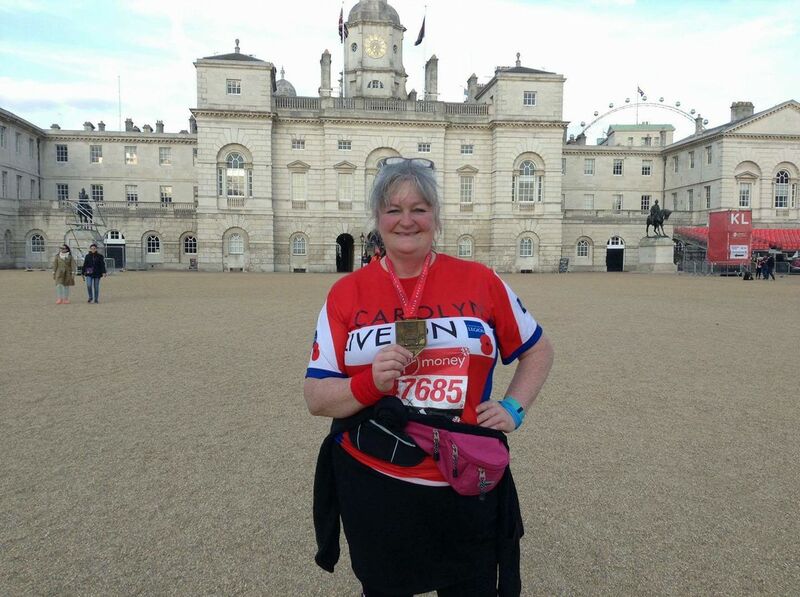 So much has been put on the back burner to get myself fit enough to get the coveted “London Marathon Medal” that there has been little time for anything else. I just wanted to say thank you to all the support you have given me and really hope I can start giving back very soon. 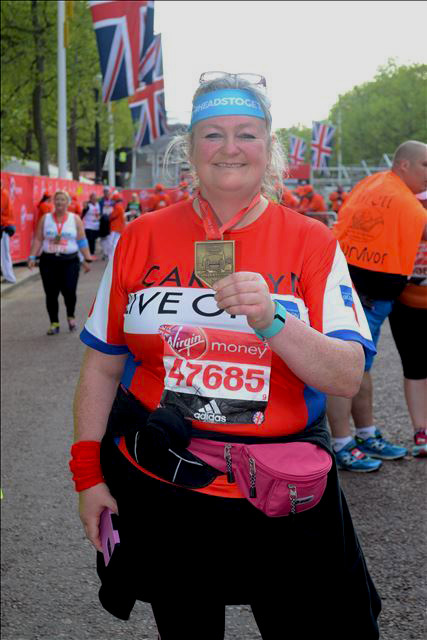 PS: How difficult it is to use a porta loo after the London Marathon – feel my pain! My fundraising page is open until October 23rd. www.donatepoppy.uk I will be releasing my own wartime recipe app and a series of keepsake full colour recipe booklets and the sale of each raises £1 for the Royal British Legion.